When will be Celebrity Big Brother's Bit on the Side next episode air date? Is Celebrity Big Brother's Bit on the Side renewed or cancelled? Where to countdown Celebrity Big Brother's Bit on the Side air dates? Is Celebrity Big Brother's Bit on the Side worth watching? 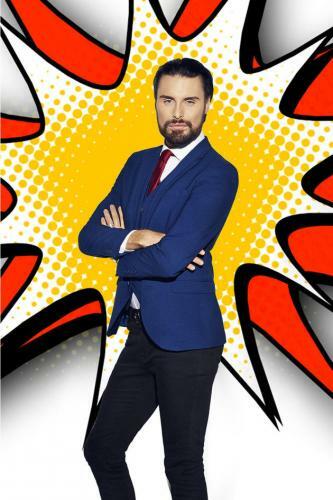 Celebrity Big Brother's Bit on the Side is the daily news/magazine based show about Big Brother, which is presented by Rylan Clark every night of the week. Emma Willis previously presented the show on non-eviction nights, however as of February 2015, Clark became the sole presenter. The show is filmed in Stage 6 at Elstree Studios, which is only a short walk from the main house itself.The show features debates and conversations about the latest goings on in the house with a studio audience and celebrity panel. Celebrity panellists and an audience of CBB fans debate the hot topics, reveal exclusives and go behind the scenes of the main show. Presented by Rylan Clark-Neal. Celebrity Big Brother's Bit on the Side next episode air date provides TVMaze for you. EpisoDate.com is your TV show guide to Countdown Celebrity Big Brother's Bit on the Side Episode Air Dates and to stay in touch with Celebrity Big Brother's Bit on the Side next episode Air Date and your others favorite TV Shows. Add the shows you like to a "Watchlist" and let the site take it from there.